I cooked up this Chipotle Grilled Tri-Tip from this great cookbook, Fire and Smoke. This is a meal that will get cooked again. And again. The grilling portion for this Tri-Tip involved searing the steak, then finishing the cook at a lower temp. I could have used the Big Green Egg or the Weber for this entire process, but since I had the Weber set up and hot already, I seared the Tri-Tip on the Weber for a few minutes on each side. Then I moved it over to the Egg which I had stabilized at 350 degrees. I inserted a thermometer probe, and closed the lid. I let that cook until the internal temp hit 130 degrees and then pulled the steak and wrapped it in foil to rest for about 15 minutes. 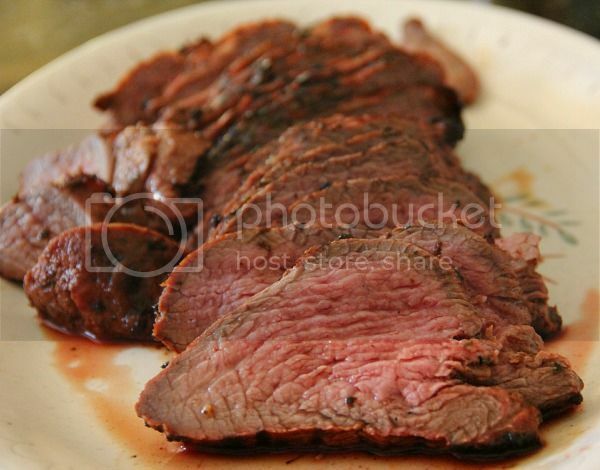 I sliced it up and I have to admit that this is the best Tri-Tip I have ever eaten. The Chipotle marinade was fantastic. Try this, you will like it. This recipe adapted from Chris Lilly's book, Fire and Smoke.